Would you like to impress your friends, neighbors, strangers with your knowledge of nature, geological features, history? You could learn fun facts and then share them with strangers at Parks, Campgrounds, Historical Sites from Coast to Coast. Interested? 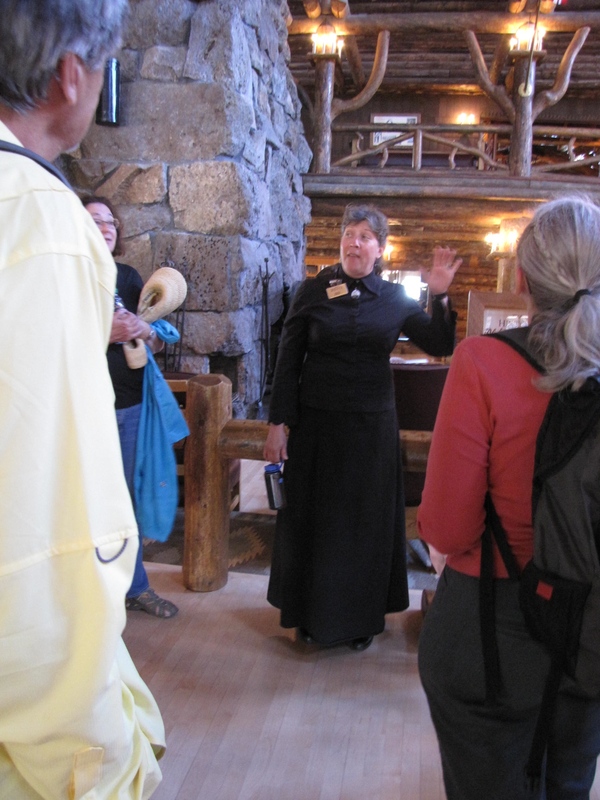 Read on to learn all about becoming an interpretive guide & interpretive hosting! Christy Sweet, lead Ranger for the Kam Wah Chung Heritage Site, was our first Ranger boss. Christy was a great source of information about Camp Hosting and noted that Donald & I should consider becoming interpretive hosts for Parks. Fellow hosts & friends Ron & Sharen also talked about the host training they attended and how much they enjoyed interpretation. Warning! Interpretation could break out at any moment! The premier source for interpretive certification is the National Association for Interpretation which is a professional association for those involved in the interpretation of natural and cultural heritage resources in settings such as parks, zoos, museums, nature centers, aquaria, botanical gardens, and historical sites. NAI goals are to provide relevant, organized, and thematic Interpretative programs and provide structure to the programs. Their certification class is offered nationwide throughout the year – we signed up for a class conveniently offered in Fort Myers Florida in June 2013. 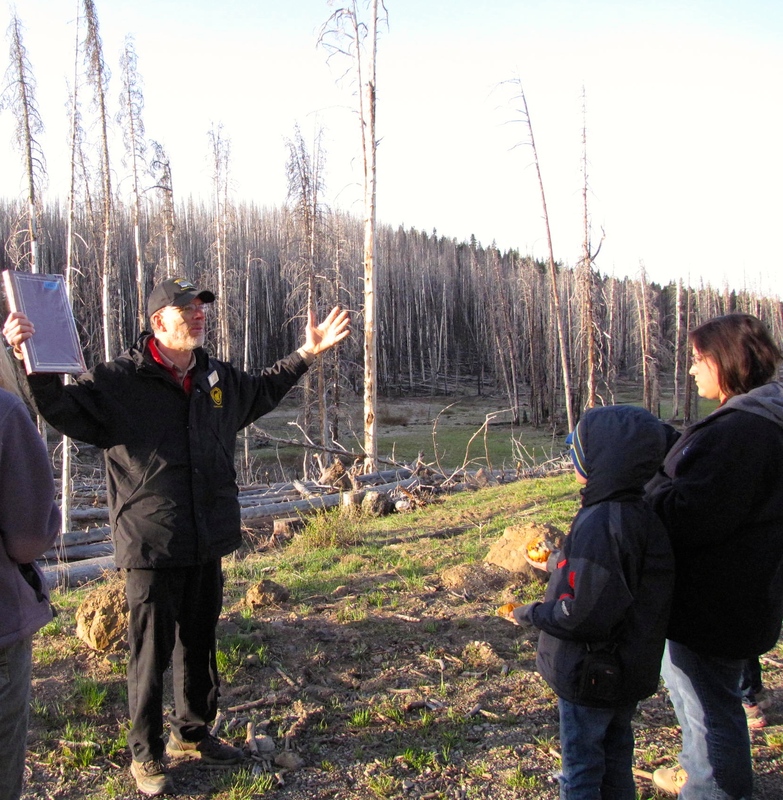 The four day class was challenging and taught by a great instructor & interpretive guide Kris Whipple. Kris is an interpretive consultant specializing in training, planning and writing for environmental, cultural and historical sites. Most recently, Kris served fourteen years as the Education Curator for Group Programs, for Disney’s Animal Kingdom and Walt Disney World Animal Programs. Kris’ energy level was amazing as she was our sole instructor for the four day session. We attended the class and got our certification after successfully preparing and presenting an interpretive program. My topic was “Quinoa – Super Food of the Chumash Indians!” (I can and will explain this topic in person upon request….) and Donald discussed the organizational skills of the Incas. The NAI training is very structured regarding the preparation of an outline to support your program – Donald (the honors student) struggled slightly with this step while Gail the “non-honors – what time is happy hour?” student got an A+. Ha! Shocking! Both of our programs were well received – mine maybe a little more because I served – wait for it – quinoa! I did not want to see another bite of Quinoa for quite some time after that presentation. A great bonus of the class was meeting our fellow students and learning so much about South West Florida – as many students were employees or volunteers at local historic sites or parks. Once we had our certification, we incorporated it into our applications and CV for use when applying for park jobs. Rangers are pleased to know we have the certification and – to date we have been able to get the hosting jobs we want. After attending the NAI class, we were fortunate to have one of the park Ranges we were working for (Summer 2013) sponsor our attendance at the Oregon Parks & Recreation “CORE” training – which is basically the NAI training as presented by Oregon Parks & Rec. We were delighted when our future Ranger-boss agreed to support our attendance. While we had talked on the phone numerous times, we had not yet worked for this Ranger and we appreciated her support. In addition to providing great training we were provided meals and the OPRD reimbursed our Oregon Park campsite fees! We did not anticipate this added benefit – we were just thrilled to attend. The course was held at the Canby Conference Center in Canby, Oregon. In addition to the training, an added bonus was meeting Rangers throughout the State & other volunteers. It was a great venue to meet other folks – and also brought us to our current host position. 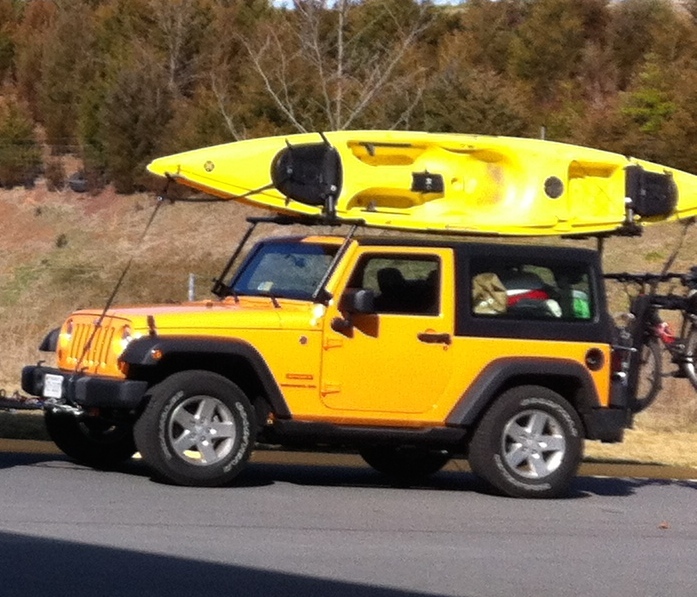 During one of the classes, Guy, our current Lead Ranger started a conversation with Donald and asked “who has the Jeep with the Kayaks?” and shockingly it was our Jeep all loaded up with kayaks and bikes. Guy was looking for hosts to expand Milo McIver’s “Let’ Go!” Kayak program. And here we are!! And we visited another State park today that would be perfect for a kayak program – in the Willamette Valley – oh my goodness. Let’s do this! get this man some interpretation! 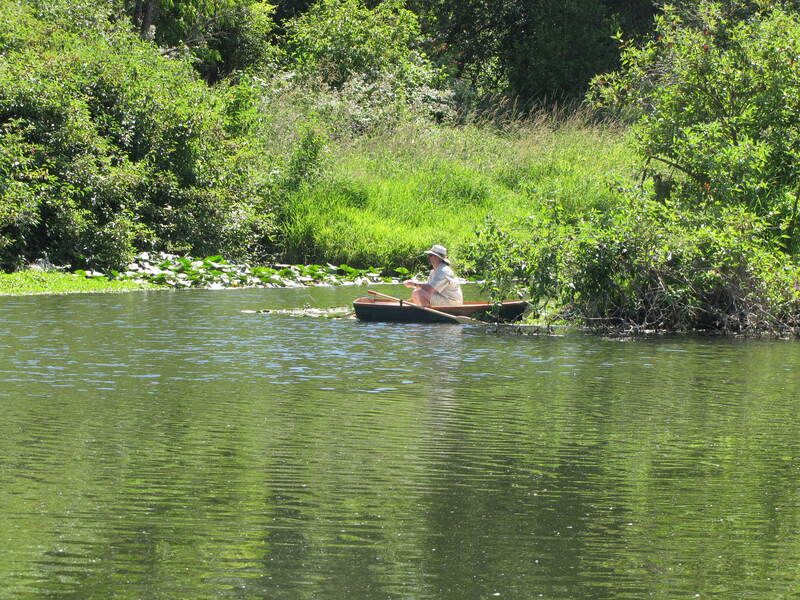 This year we will be kayak hosting at two Oregon State Parks – Milo McIver and Fort Stevens. New positions for us that should be fun. Now, if you should need to know how many types of waterfalls exist – there are 28 types and they all may be found in the Columbia River gorge. Hey, you never know – it could come up in a trivia contest.